The WDS-614 is a complete rear frame to accomodate a digital back with PhaseOneXF-IQ/Mamiya 645 AFd interface to the WDS-body working with the WDS Lenspanels with Digitar Series. 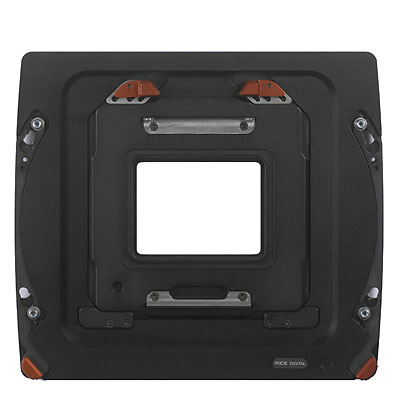 The rear frame has a central interface plate SLW-83 that can be switched between landscape and portrait mode. The SLW-83 is compatible with the WRS series, Actus DB, Actus-XL-DB and more.